We don’t know much about Marvel’s plan for Agent Carter, its televised spinoff of both the Captain America movies and Agents Of S.H.I.E.L.D., but that’s fine. We don’t need official Marvel-sanctioned press releases when Hayley Atwell, Agent Carter herself, is totally cool with casually filling in those holes for us. Speaking with The Telegraph, Atwell mentioned how excited she is to get on the Agent Carter set and start playing pranks on Dominic Cooper, who she says is “incredibly naughty.” Cooper, of course, played Howard Stark—Tony Stark’s father—in Captain America: The First Avenger, and this is actually the first seemingly official confirmation that he would reprise that role in Agent Carter. It took Agents Of S.H.I.E.L.D. almost its entire first season to realize that it should directly tie into the Marvel movies if it wants any actual stakes, but it seems like Agent Carter is going to be a little more conscious of that from the beginning. 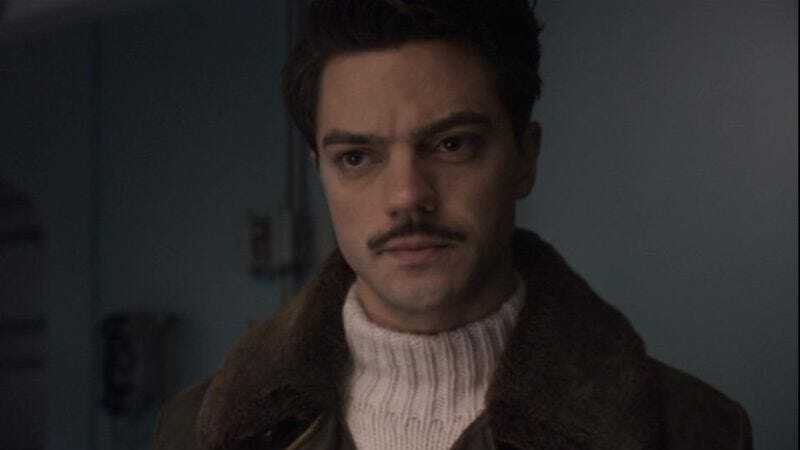 All we want to know is if Howard Stark’s appearance on this show will solve the mystery of why he looks so completely different in Captain America than he did in Iron Man 2. Was it just because he was played by two different actors, or is this all part of some nefarious Hydra plot to replace the real Howard Stark with an impostor? We’ll have to wait until Agent Carter premieres next year to find out, but—spoiler alert—it’s because he was played by two different actors.